Wish to see Sreesanth – Bhuvaneshwari Kumari (Nain) marriage photos? 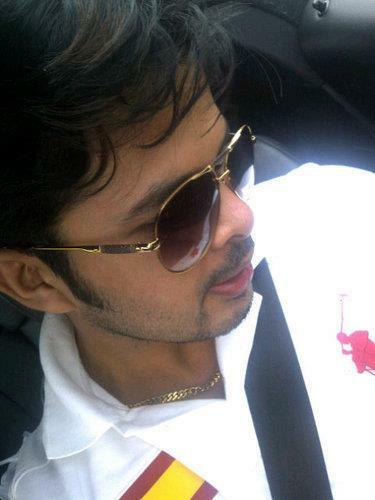 Sreesanth – Bhuvaneshwari Kumari (Nain) marriage is set for 12th December 2013. The marriage would take place at Guruvayur temple. Following the marriage, two receptions will take place in the evening on the same day in Le Meridien, Kochi, while the other one on 14th December at Kothamangalam. Much interestingly, the reception will be having a royal touch with a Rajasthani style in the design. Indian pacer Sreesanth who had come across an unusual shade is gearing up to find the best time in his life. The 30-year old cricketer will tie knot with his long time girlfriend Bhuvneshwari Kumari 12th December 2013. The marriage would take place at Guruvayur temple. Following the marriage, two receptions will take place in the evening on the same day in Le Meridien, Kochi, while the other one on 14th December at Kothamangalam. Much interestingly, the reception will be having a royal touch with a Rajasthani style in the design. Bhuvaneshwari Kumari is daughter of Hirendra Singh Shekhawa and Mukta Singh of Shekhawat royal family in Jaipur. The function will be held in the afternoon at 2. 30. According to sources, Narendra Modi, the Chief Minister of Gujarat would make his presence alive in the function. The guests will be served with typical Rajasthani and Malayali food making the occasion more prolific. Sreesanth is expected to wear a designer outfit designed by a Jaipur based designer. The wedding will be blessed with the presence of Sree's close friends which include cricketers and people representing Bollywood and South film industry. Cabinet ministers, politicians and MLAs' are being invited and are likely to attend the wedding. The couple had their sangeet ceremony on 11th December which was joined by his friends from Bangalore including designer Ramesh Dembla and model Param Veer. The event was creamed with lot of music, food, drinks and entertainment. Sreesanth was spotted in a white shade sherwani teamed with a dupatta with silver work done on it. Bhuvaneshwari Kumari wore a yellow lehenga dressed in true Rajasthani style. Sreesanth who was banned from all forms of Cricket after an internal probe in connection with the match-fixing scandal has played in 27 Tests (87 wickets), 53 ODIs (75 wickets) and 10 T20s (seven wickets).